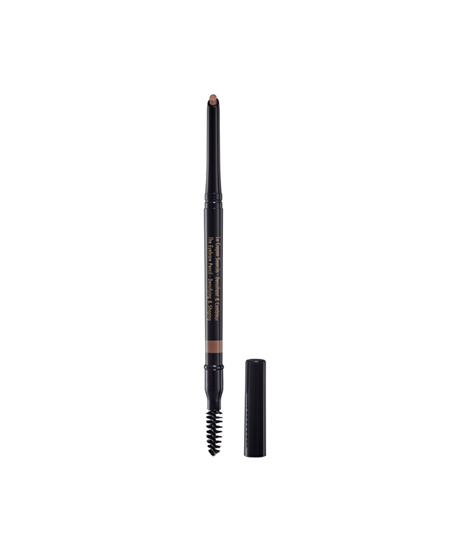 The first Guerlain eyebrow pencil enriched with ceramid, for denser and fuller eyebrows instantly and over application. A unique gel-to-powder texture for easy, blendable application. A double-ended pencil: a pecise and angeld retractable tip that does not need to be sharpened, to draw and fill in your eyebrow line, and a brush for blending.